Vivian’s mother was murdered and after receiving a cryptic letter it looks like Vivian is next. To avoid her impending demise Vivian takes the advice of her bodyguard and heads to a safe house in Mexico but the trip isn’t without its bumps. I really enjoyed the setting in Mexico and the inclusion of the famous Day of the Dead. It made for a very atmospheric novel that felt like bright colors and dark shadows. I thought Vivian was a very intriguing character. She’s a teen movie star with a movie star mother and a famous director for a father. Vivian has led a charmed life so to see her on the run in Mexico was a complete about-face and I liked watching her come in to her own. 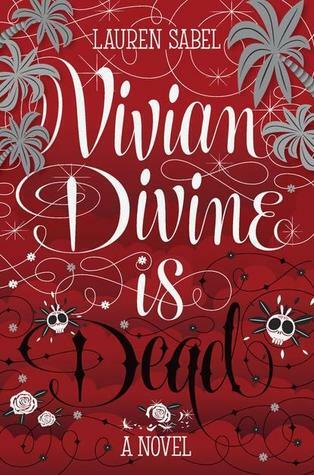 One of my favorite things about Vivian Divine is Dead was the all the twists and turns the story took. I thought everything was going one way and then things went another. Although, I was quick to catch on to what was happening it was still an enjoyable and quick paced read. Overall, Vivian Divine is Dead was fun and atmospheric. I enjoyed that although this was a contemporary everything felt a little bit fantastical and fictional. Sometimes, you just want to lose yourself in a quirky mystery and Vivian Divine was that kind of book! First time I read of that novel, seems pretty interesting, though. I'd love to read it!